With the ever increasing penetration of Mobile apps into our day to day life, it’s imperative that Mobile Applications will be at the behest of hackers and Security professionals likewise. Thanks to phenomenal advances in mobile device capabilities, everything from shopping, banking, recharge, booking tickets and many such activities are performed with the help of a smart phone alone. Hackers are finding more ways to steal data through mobile applications. Native Mobile App – installed on the device, is developed specifically for one platform and can work offline. Some native apps are calendars, calculators, built-in browsers and office applications. Web-Based Mobile App – is an actual website that gives the look and feel of native apps but is implemented differently. They are run by a browser and are typically written in HTML5. Some web-based mobile apps are popular social networks (the versions that are accessed through the browser), email and chatting applications and online mobile games. Hybrid App – is a combination of both Native and Web App. Discovery health and fitness app is an example of an hybrid app that redirects to the website to complete some requests. In Part – 1 of this article we will be discussing about iOS application security Testing and the different tools available for the same. An iOS application typically runs on an iPad, iPhone, or an iPod touch and is written in Objective-C programming language. The iOS app is stored in an .ipa file that is an iOS application archive file. 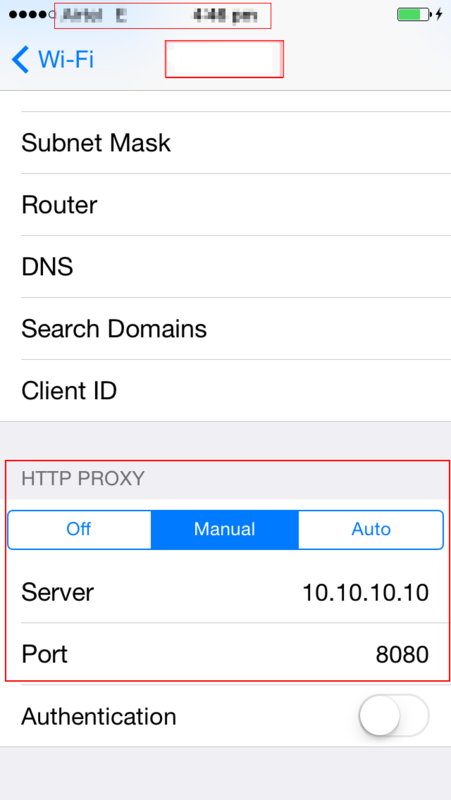 To intercept traffic from and to the mobile application and the server any proxy tool like Burp, Fiddler or Charles can be used. Interception is generally done to view / modify requests going from the mobile app to the server and check if these modified requests are accepted and executed by the server. 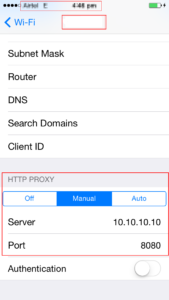 Once these settings are done any request going from the mobile app to the server can be intercepted by the proxy tool used and the testing can then be done in a manner similar to testing a web application. 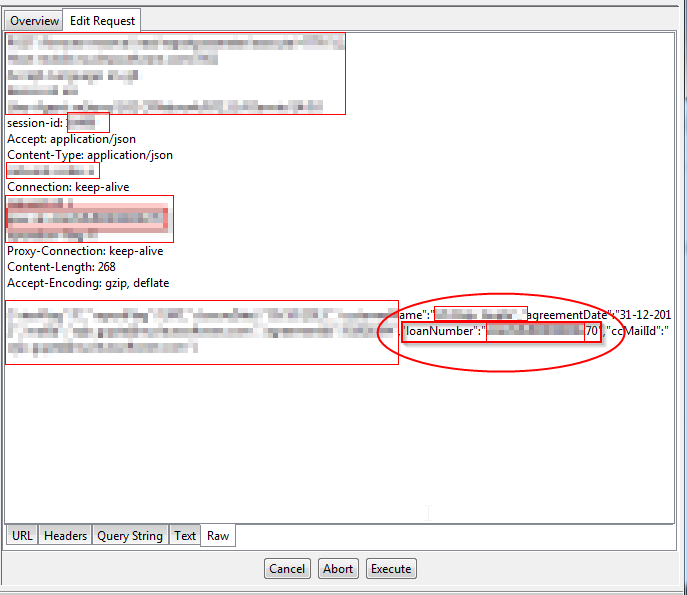 An example of performing an attack (Parameter tampering in this example) by intercepting the requests and modifying it before it reaches the server is as shown in the snapshots below. 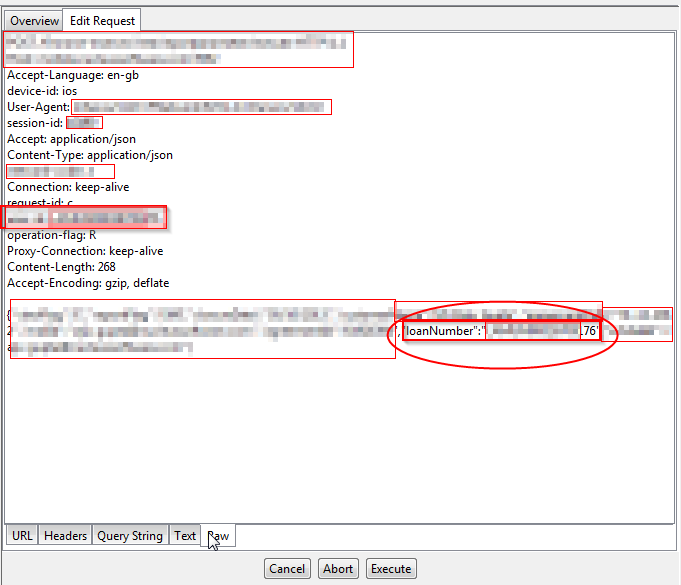 Step 1: Perform some action (edit details of a user in this example) after logging in to the mobile app and capture the request using Charles or any other proxy tool. The above request is made from the user whose unique number is xxxxxxxxxxx76. Step 2: Modify this parameter to another unique number (xxxxxxxxxxx70) which belongs to another user, as shown in the following snapshot. Step 3: Forward this modified request to the server. 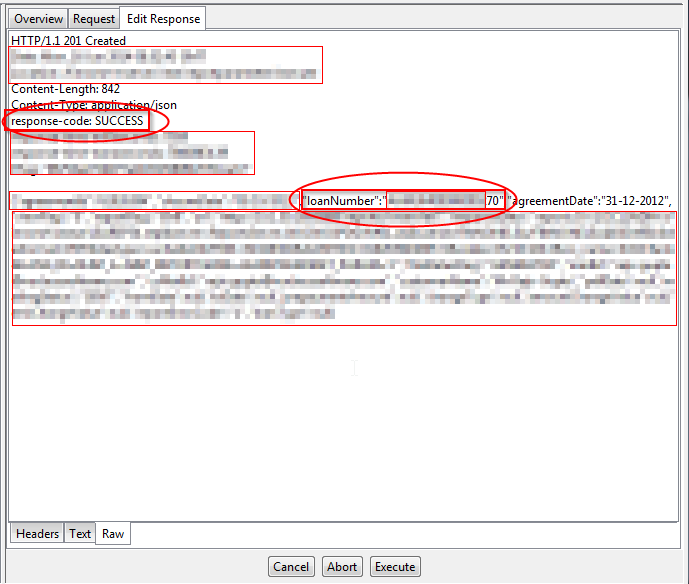 The server replies with “SUCCESS” response showing that the details of user with the unique number (xxxxxxxxxxx70) are modified instead of the 1st user (xxxxxxxxxxx76). This is shown in the snapshot below. Apart from Parameter Tampering that can be performed as intercepting the traffic is possible, there are many other attacks take can be launched if interception is possible. To mention a few of these type of attacks – authentication bypass, client side injections, improper validation of session token, session hijaking, session fixation and other session related attacks can be exploited. Depending on the kind of attack that is being launched due to the possibility of interception of traffic the mitigations will vary. If the mobile app is vulnerble to paramter tampering then the mitigation would be to implement server-side mapping of the user to the respective accessibility so that the features applicable to different privilege levels are accessible strictly to those level users only. If the mobile app is using a guessible session id/token which might lead to session management related attacks, then the mitigation would be to generate and issue a complex and random session token whenever a user has been authenticated successfully. Also, this session token should be properly invalidated when the user logs out. These mitigations will be similar to the ones suggested during the testing of a web application. Certificate pinning is another method that can be implemented which will prevent the interception of traffic and hence prove to be a combined solution for any of the Man-in-the-middle attacks. 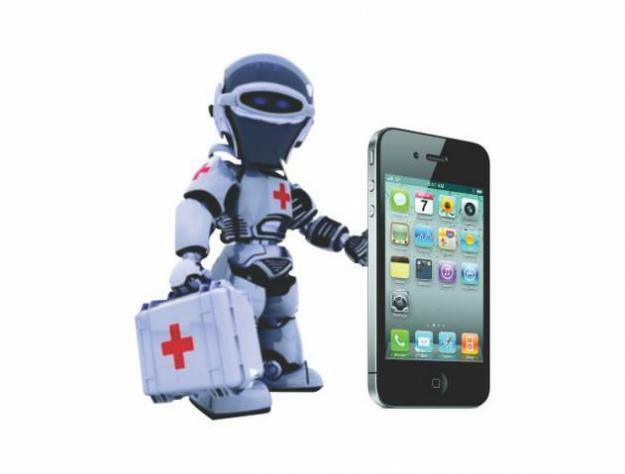 A lost device can provide access to a lot of sensitive data that is stored on the device. This is because mobile apps store some amount of data locally on the device. Since data is being stored on the device it should be stored securely in such a manner that it cannot be misused by unintended users. With respect to an iOS device, a tool called “iExplorer” is used to fetch all the data that is stored locally on the device. App related data can be extracted to the system that the iOS device is connected to, and once extracted can be viewed at anytime. The below screenshot shows the data present locally on the device that is viewed using the tool “iExplorer”. Fig: Local storage – text files containing sensitive information like password. As seen in the above snapshot, a text file containing the password in clear text was obtained. This text file was present in the local storage of the device and was extracted to the system. This file stored the password in clear text and was readable irrespective of having access to the app. As seen in the above screenshot, a PDF file and a folder tmp was seen in the local storage of the device and was extracted to the system. The pdf file that was extracted to the system could be opened and read irrespective of having access to the app. The IOS applications should be built in a way such that it does not store vital sensitive data on the device’s memory. In case there is a need to store the same, strong encryption algorithms should be implemented to encrypt the same. 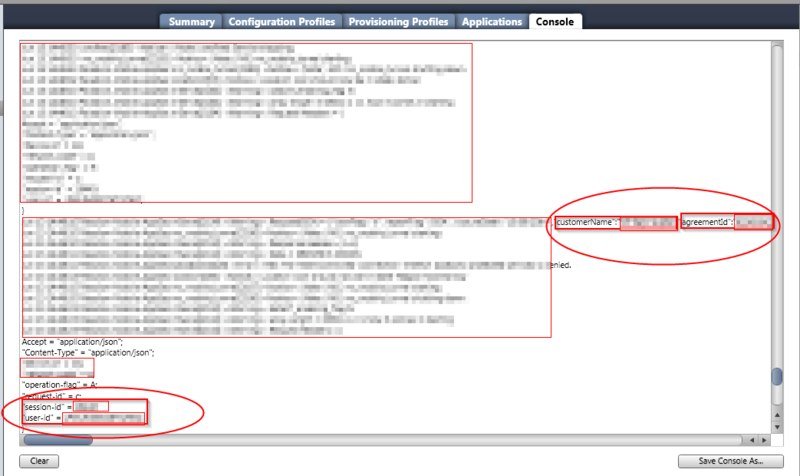 As seen in the snapshot above, the logs reveal user specific and sensitive information like CustomerName, agreementid, sessionid and userid. These details can be viewed at anytime just by having physical access to the iOS device. Do not log sensitive data like username, password, unique identifiers or any vital user related information to system logs. The above file decomiple.txt has part of the code and can contain sensitive information related to the application. The organization building the app must adequately prevent an adversary from analyzing and reverse engineering the app using static or dynamic analysis techniques. The mobile app must be able to detect at runtime that code has been added or changed from what it knows about its integrity at compile time. The app must be able to react appropriately at runtime to a code integrity violation. With this basic knowledge about testing an iOS app a mobile security enthusiast/professional can test for vulnerabilities in an iOS app.